Convenience food might seem like a great choice. On the packaging, it might even have friendly labels like ‘low fat’ or ‘no sugar’ or ‘no added colors’ – but be careful. Convenience food whether it is fast food, ready meals, TV dinners or even some junk food snacks can be worse for you than you realize. Indeed, you may discover that by giving in and letting yourself eat ‘convenient’ options like this you are actually hurting your body. Let’s look at some of the issues with convenience food and start considering the alternatives that might be a lot better for you. 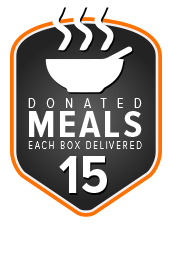 Problems With TV Dinners and Ready Meals? Let’s say you get in from work after a long day. You don’t want to cook, that takes time, and besides, you’re exhausted after the day you’ve had at the office. So, what do you do? Well, one possibility that you have probably considered at some point or another is to put a ready meal in the microwave. No cooking, and within ten minutes you can have a meal for the day. In fact, you can have enough for the whole family if you buy four. Where’s the problem? You might even choose to buy a low-fat variety and then you’re even being good on your ‘diet,’ right? Wrong, because these types of meals are actually a lot worse than they seem. Firstly, if you look at the ingredients on your typical microwave meal, you will usually find they are high in sugar and sodium. This is true, even for meals that are supposedly low fat. The reason for this is quite simple. These meals are often tasteless and to add more taste or at least give the illusion of taste, manufacturers just add more sugar. So, while you might think you’re being good, you might as well go and eat at a fast food restaurant (and we’ll talk about the issues with that a little further down). The other issue with these ready meals is that they are often made with low-quality ingredients. You won’t get much veg or green in them at all, and any meat will be cheap. In fact, these meals can be made of leftovers from livestock. So, if you eat a ready meal, you’re getting a dinner that is high in sugar, made with cheap low-quality ingredients and missing out on important nutrition benefits. Cooking for yourself is the option we’d recommend over eating a ready meal. It may not seem convenient, but it certainly is for your health. You’ll be able to control exactly what’s in your evening meal, and you won’t have to feel guilty. Cooking for yourself doesn’t have to take a lot of time. There are some great 10-minute meals like a stir-fry. This will take roughly as much time as it would to throw a ready meal in the microwave, and it’s a lot better for you. How about treating yourself to a fast food meal every so often? While a fast food meal every so often won’t be detrimental to your health, it’s still something that you might want to avoid as much as possible. Why? Fast food brings a number of issues that you might not be aware of. Even eating it on occasion can have a lasting effect that you may not realize. The first thing about fast food that you must be aware of is that like ready meals, fast food is often high in sugar, salts and yes, fat. Although you might think that the major fast food sellers have taken steps to reduce the issues here, the food they sell is still unhealthy. Eating a salad from a fast food restaurant is often just as bad for you as a burger because of the level of salt that’s typically used for flavoring. That’s not even mentioning the issue with the sauces that you may have on that salad. If you decide to opt for the unhealthy choice all the way and choose a burger or a chicken sandwich you may be interested to know that processed food like this is more difficult for your body to digest. So, you might find that it hangs around for far longer. This isn’t just detrimental to your weight, it could cause health issues too. So, what’s the solution to issues like this? 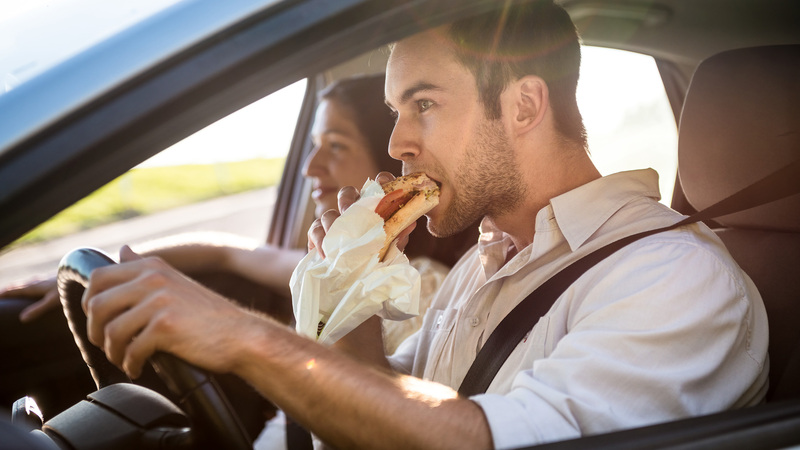 Well, rather than opting for a stop at a fast food restaurant, you might want to think about taking a snack with you instead. There are quite a few healthy snacks that you can take with you and are far better for you than a quick meal. An example of this could be some fresh fruit. Filling, refreshing and the perfect way to satisfy your appetite halfway through a long day. The key to getting a great healthy snack is to think ahead and make sure you pack something tasty to eat that is still good for you. Aside from staying in your system for longer, there are other issues with processed food that you need to be aware of. But first, we need to make sure we know what processed food is. In a way, all food is processed, especially food that comes in a can or other packaging. However, the processed food that we’re referring to is made artificially often with harmful, artificial substances added. The issue with this food is that while you can often eat it without preparing it, cooking it or indeed even adding ingredients, it is typically high in levels of sugar and corn syrup. Both are bad for you, and sugar actually negatively impacts your metabolism. As such, if you’re dieting, this is certainly something you want to be aware of. There’s also the problem of the perceived reward we get from this type of food. Referred to as the ‘food reward hypothesis of obesity’ this theory postulates that we eat more processed food after we start because of a perceived reward from consuming it. It’s an interesting idea and one that may make you think twice about the jokes surrounding certain foods that are too addictive to stop eating them. There’s a very good chance that a psychological process is encouraging you to eat more than you really should, leading to health issues. We hope you see now why convenience food isn’t really convenient at all. There are far better alternatives for you to consider.